With James Levine’s masterful conducting, Mozart’s sublime score works its colorful magic in this upstairs/downstairs drama. 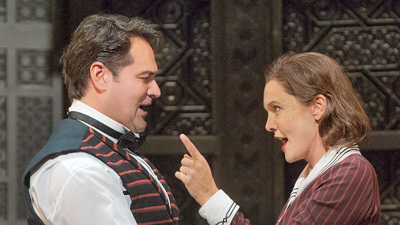 Ruggero Raimondi (Figaro) and Kathleen Battle (Susannah) are the servants, caught up in the ongoing domestic drama of the Count and Countess (Thomas Allen and Carol Vaness). Only all is not what it seems, and the battle lines keep shifting in the most unexpected ways. 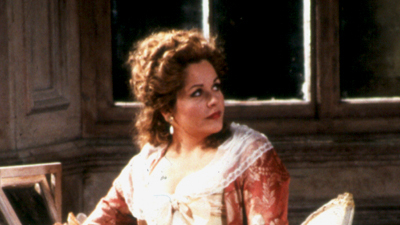 Frederica von Stade is Cherubino, the young page body who’s in love with love and who keeps complicating everyone’s best laid plans at exactly the wrong times.